High Level Maintenance Ltd specialises in the cleaning and repair of all types of statues, monuments and memorials. 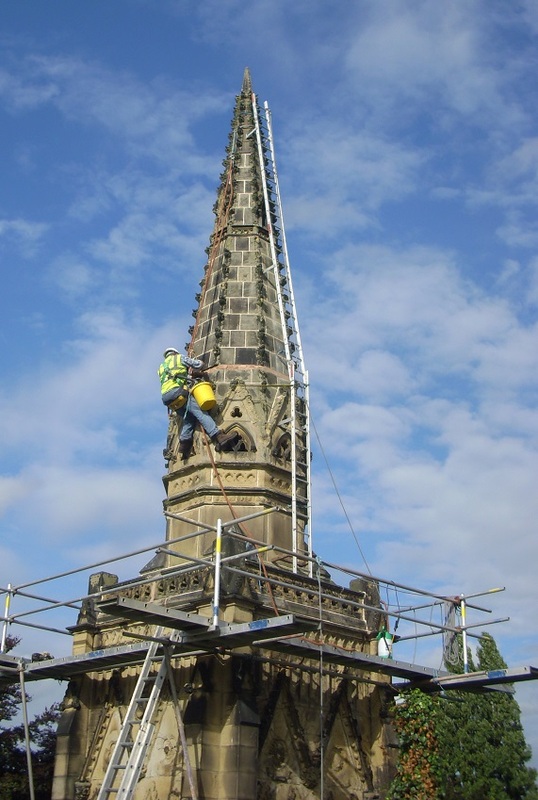 On taller monuments and memorials, our traditional steeplejack and rope access techniques provide a cost effective solution, removing the need for scaffolding or expensive cherry pickers. Expensive scaffolding often needs to remain in situ for long periods, whereas ladders and ropes can be removed at the end of each working day, therefore reducing the risk of theft of, or damage to, precious metals and ornate masonry pieces. 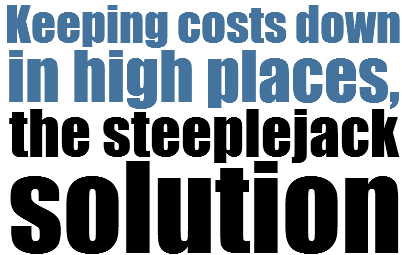 We offer a nationwide service and free site surveys and estimates. Surveying and supplying condition reports, with colour photographs and recommendations for conservation or restoration work. Cleaning of all types of surfaces, including bronze, limestone, sandstone and marble, using a variety of techniques, to remove dirt, bird droppings and vegetation. Stone masonry repairs, carving and fixing or replacement of loose or broken elements. Removal of embedded ferrous metal and replacement with stainless steel dowel and cramp components. Pointing and repairs to open jointing material, using traditional lime mortars. 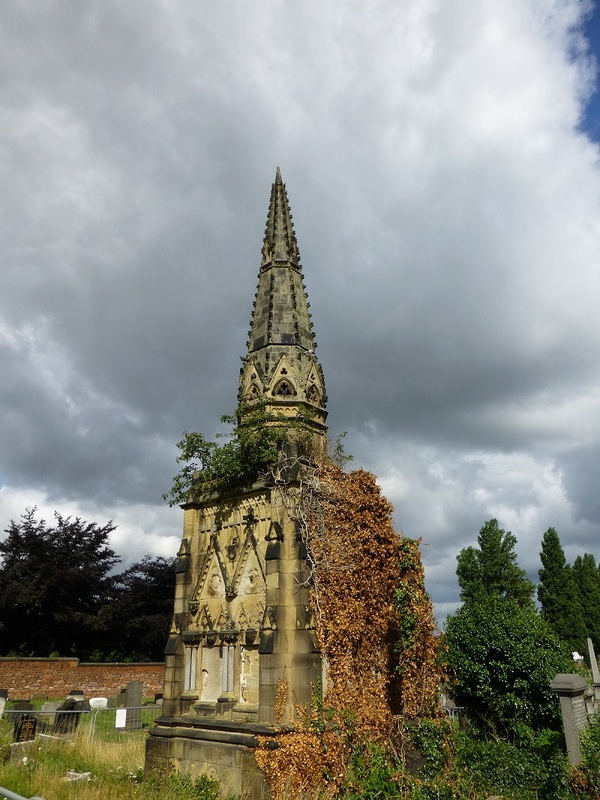 High Level Maintenance Ltd was requested by Wakefield Council to provide a cost effective solution for remedial repairs to the Shaw Memorial in Wakefield Cemetery, West Yorkshire. Steeplejack fly scaffolding was erected to prevent unauthorised access. Re-pointing in traditional lime mortars was carried out together with the removal of damaging, ferrous cramps and dowels. Re-pining of loose parapet masonry was undertaken, using the stainless steel Helifix system. 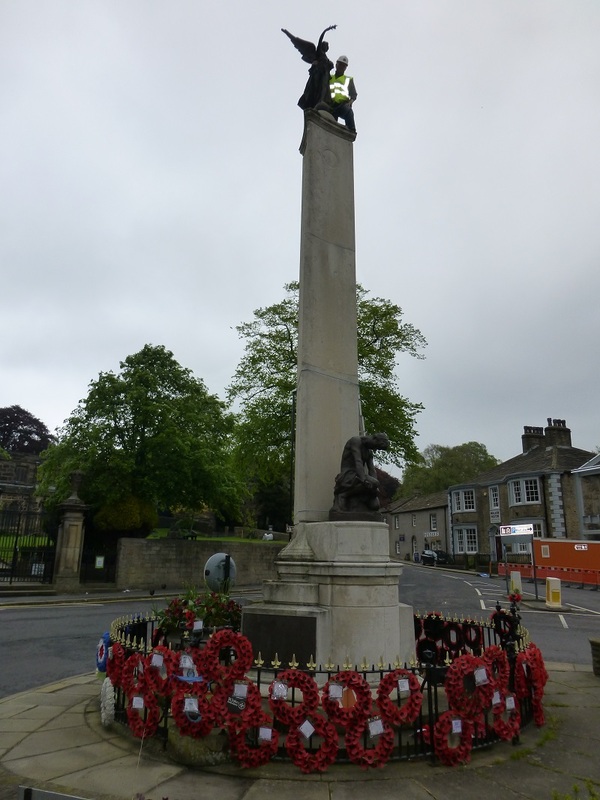 High Level Maintenance Ltd undertook a rope access survey of the Skipton War Memorial for Skipton Town Council. The cleaning down of this is taking place in Spring 2014. 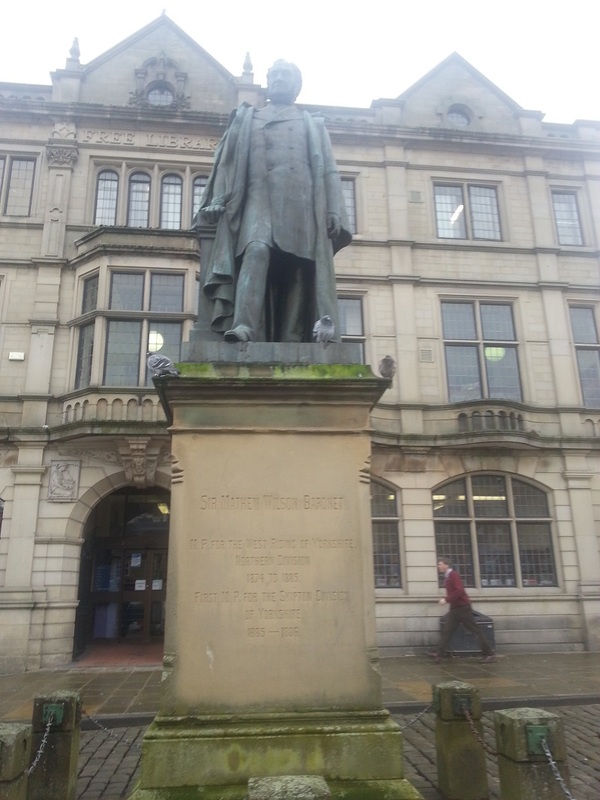 The Sir Matthew Wilson statue in Skipton before the cleaning of bronze and repairs to masonry.